With support from Matt Kennedy, Nic Bowler has become a key contributor to Macmillan’s Election Task and Finish Group that helped shape our manifesto calls. Open and personal, Nic’s blog explains how, following a cancer diagnosis, he used a variety of approaches and Macmillan’s HOPE course to begin to rebuild his work-life and build new social relationships. Resilience and recovery, I guess it’s the holy grail following cancer? It implies getting back to a decent level of functioning, an even keel, some kind of normality, achieving a new equilibrium and being able to withstand whatever else life decides to challenge us with. I knew all this, but following my cancer, I found it difficult to achieve. Actually, I found it VERY difficult! I’ve known other survivors go back to work as if nothing had ever happened. It just wasn’t like that for me – even though my outcome physically was as good as it could have been. 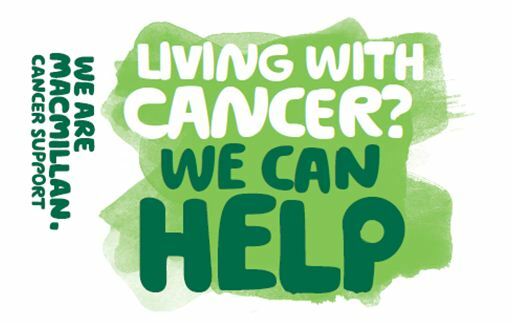 My Macmillan nurse did a sterling job in keeping me informed, and supporting me as long as she could, but I needed MORE. I was on antidepressants for a while and had a ton of counselling. In the midst of the chaos I discovered that Macmillan run a course entitled ‘Help Overcoming Problem Experiences’ (HOPE). So of course I signed up and benefited from the course content and the supportive environment which the course provided. I guess it helped me realise that I wasn’t the only one who seemed to be struggling with getting back-on-track. Eventually I learnt to meditate and practice mindfulness. I rebuilt my work-life, and built new social relationships, to fix the trail of destruction that cancer seemed to leave in its wake. I’ve kept in touch with the small HOPE group and we meet up every couple of months for lunch. It was at one such lunch about a month ago when I decided to check out my experience with one of the others. Now that really got me thinking and reflecting. As I thought about it, I became aware that this was also true for me, but I was more focussed upon what I felt I had lost, instead of the new way of dealing with stressful situations, which I also had learnt. Instead of trying to ‘battle-through’ situations, which I often did previously, now I will figure out the best plan and then act on it. No more ‘holding’ operations leading to long term stress for me. Whilst it does feel like I’ve got a lower tolerance to stress, I have learnt to be more assertive and decisive in actually dealing with situations which I would have allowed to rumble on before. So when I had originally thought about recovery and resilience, what I had in mind was a baseline set in the past. And what I have learnt, four years into remission, is to set my baselines to better accommodate my present and future. Now that sounds like resilience and recovery really worth having!